We know all the secrets of writing great content. We are the leading provider of best of breed copy because we are a seasoned team of experts with more than 25 billion years of combined marketing excellence in gaining mindshare. Our forward-thinking, proactive approach is matched only by our insatiable passion for harnessing our brilliance, unleashing our creativity, leveraging our collective experience and sharing our epiphanies. Now, for a limited time, these secrets are available to a limited audience because we believe in giving back. Go to our website, fill out a form and one of our highly-qualified experts will quickly process your credit card. As a value add, we will blow up your inbox with a brain dump of our actionable insights to empower you 24/7 because genius never sleeps. Trust us. We know what we are doing because we are experts in synergistic, just-in-time solutions for today’s knowledge workers. Disgusting, right? I don’t even want to sit next to me right now. It’s a proven fact, when you “wee” on yourself everyone scatters. Take a look at your website, your marketing collateral, your social media posts or anything you’re putting out there to attract business. 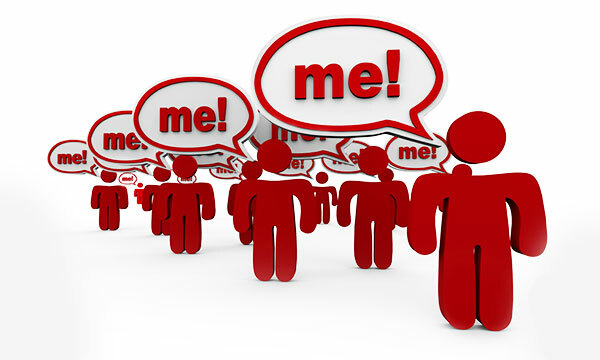 How many times do you use pronouns like we, our, I, we, our and us compared to audience-focused words like you and your? Chances are, you’re weeing on yourself.